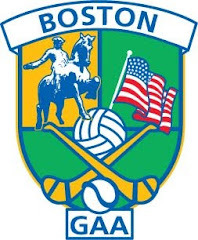 The coming of the All Stars to Boston was a huge event for the Boston GAA. Combined with the involvement of underage players and the Boston and New York teams, it made for a memorable weekend. It was a novelty to head to Canton in wintry cold, as locals we are more used to bearing with extreme heat when attending games at the ICC over the summer months. The Boston versus New York game revealed that there is a considerable appetite in both cities for competition. The Boston v New York rivalry that is touted in relation to the professional teams was there to be seen between the Gaels of both cities. The players in Boston enthusiastically prepared for this game, training every Sunday morning for weeks in advance. The word is that there will be a return date at Gaelic Park in New York in April, a game for which New York will no doubt be better prepared. The New Yorkers will have their date with Galway in May’s Connacht Championship preliminary round coming up and playing at a competitive pace can only help improve match sharpness and identify areas for improvement. Having a cup to play for between the cities would give added meaning to the game, (or series of games), and give the home based players in the Boston area a chance to represent the division on an annual basis. The All Star game itself was played at a pedestrian place, which is to be expected given that this trip is a reward for players who have and sacrificed tremendously over 8 or 9 months. Some were also involved in intense club championship activity, as well as the international rules against the professionals in Australia. The chance for us here across the Atlantic to meet the players up close, take pictures (check out facebook in the days following the game), and for the kids have a chance to be coached by the stars from Ireland was a real treat. Many of the players were hosted at social occasions by people from their counties after the game on the following day, which helps cement the links between the GAA in the states and at home. can this link be further built upon to develop the games in the States? Speaking of links, there were a couple of interesting articles written following the game which got me thinking about one of the biggest hurdles that underage development of the game faces in the U.S. The issue is that of athletic scholarships to third level educational institutions. Parents look ahead to the post high school phase of raising a family with fear; the cost of sending 2 or 3 kids to college is akin to buying a second home. This fact has a large bearing on deciding which sports kids are registered for at an early age. It also goes a long way to explaining the exploding popularity of soccer and lacrosse. In their own right, Gaelic games measure up favorably against either of these two, and also even against the likes of baseball or American football. Unfortunately, at this stage in the game, Gaelic sports do not offer such scholarship opportunities and when compared to the other sports we are at a significant disadvantage. There are examples of talented kids who have come through underage ranks being offered athletic scholarships for other sports, and not playing GAA sport for fear of losing the scholarship. Also, trying to attract kids from a “non-traditional” background has an added barrier for this same reason. Some adult clubs have introduced scholarship programs to attract or retain players who have come through underage ranks, and this is an element that needs to be focused on for the long term prospects of the game in North America. In today’s Irish Times, Sean Moran’s article talked about scholarship funds raised by the GPA and awarded to players at home, and also mentioned that some of the funding was raised in the United States. Many parents here consider sending their kids to Ireland as International Students to attend college, and some colleges are actively recruiting international students from the U.S. A scholarship program for promising players coming through underage ranks to attend either a college in Ireland, and participate in the GAA set up at that school, or even to attend one of the colleges in the US that is part of the budding efforts to introduce the games at third level here, would be a beginning in attempting to breach this barrier. The involvement of the GPA and/or a third level institution in Ireland could be part of that effort. There is a huge effort going into trying to develop games with the youth all across the United States with introducing the games, organizing competition, and sourcing equipment and facilities. The scholarship is one piece of the games development puzzle that can help make a breakthrough.